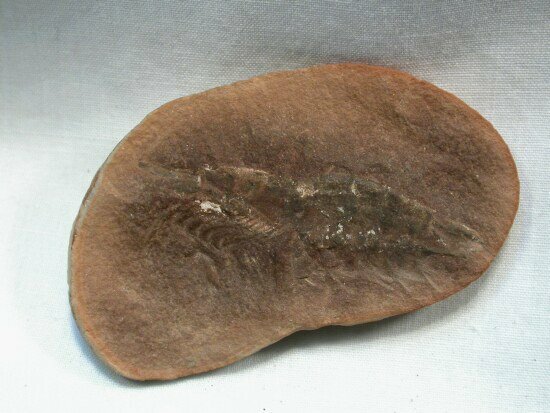 Description: The Mazon Creek deposits of the region near Braidwood, Illinois rival the other famous Lagerstatten of the Burgess Shale, Solnhofen, and Liaoning for the variety of detailed life preserved. Many exquisitely-preserved specimens are found in the ironstone nodules that make up the deposits. The majority of collecting areas are the spoil heaps of abandoned coal mines, the most famous of which is Peabody Coal Pit 11. Pit 11 now serves as a cooling pond for the Braidwood nuclear power plant, but with over 100 other localities, specimens still come to light. 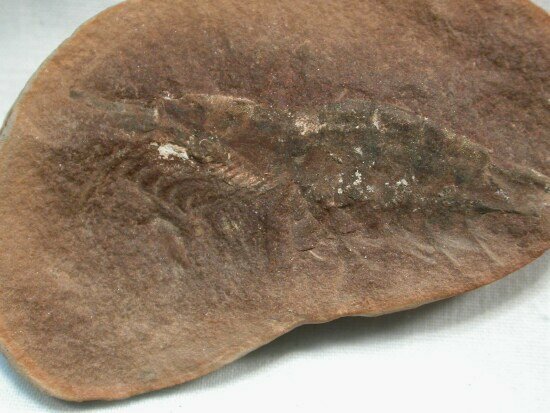 This specimen is a member of an extinct lobster-like Order that flourished during the Carboniferous is North America and Europe. 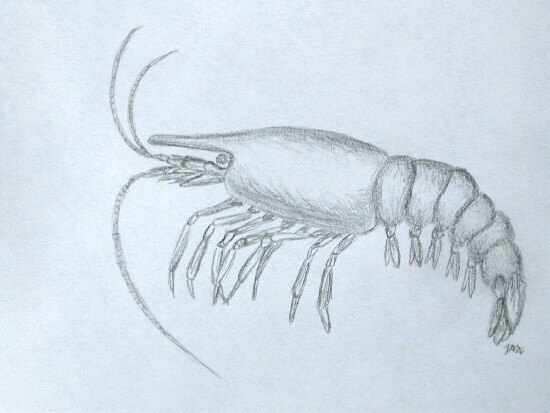 The antennae, antennules, and legs are quite easily discerned in this fine example.